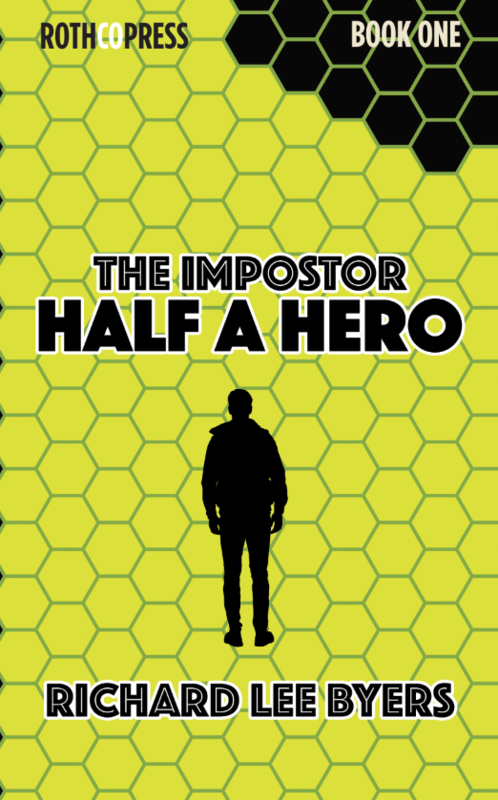 The Imposter: Half a Hero by Richard Lee Byers. Book One in The Imposter series. Matt Brown lives in a world of superheroes and supervillains, of mutants, sentient robots, and monsters. However, none of that has anything to do with him. He’s just an ordinary guy living an ordinary life…until alien invaders attack the Earth, and all of humanity’s costumed superheroes go down fighting. By chance Matt falls heir to their powers, but how can a fake hero save the world when the real ones have already failed? To find out, he begins a quest through a post-apocalyptic world where alien horrors and human supervillains battle for dominion.